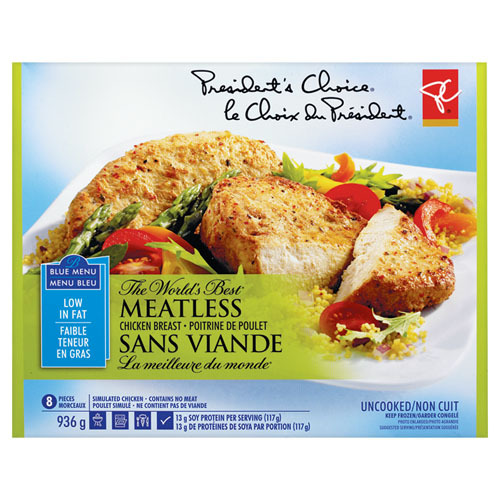 When I was first thinking about becoming vegan, it was long before vegan cheeses were palatable or even available. I used to post on a well-known vegetarian message board, and it was there that a very kind vegan took me under his wing and introduced me to nutritional yeast. He even sent me some by mail all the way from the Southern United States, because I had no idea where to buy it in Ottawa. 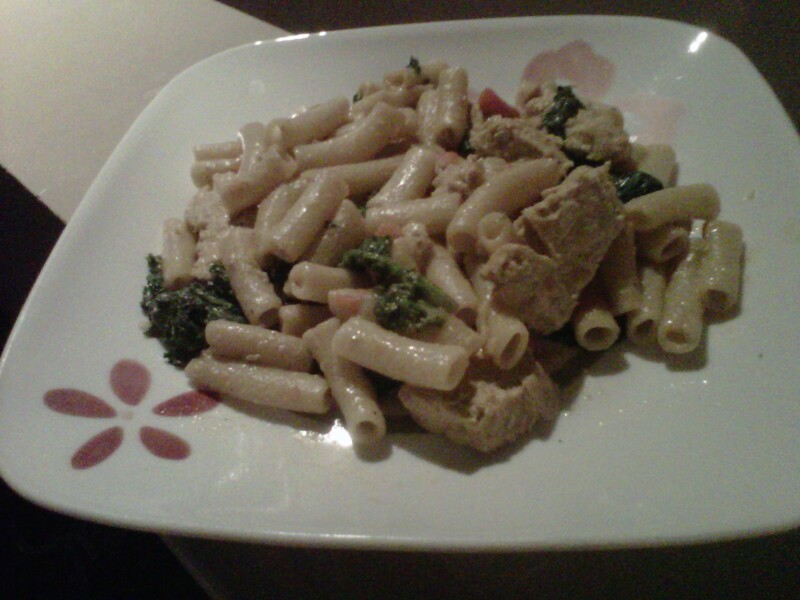 Nutritional yeast is super healthy (as its name implies), and also very delicious. Not so much on its own, but it is very versatile and can be used to make nice cheezy sauces. Given that I used to be a cheese-a-holic in my pregan days (yes, it IS possible to stop eating it and still enjoy food and life), that’s a good attribute for something to have. 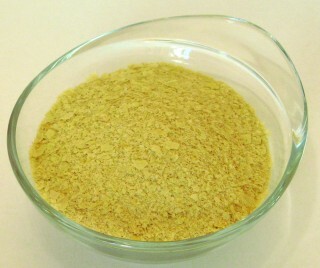 Nutritional yeast is a source of protein and vitamins, especially B vitamins, and is a complete protein. It’s also low in fat and sodium. Some brands, although not all, are fortified with vitamin B12. Nowadays it can be found at virtually any health food store, it’s at Loblaws, and even Bulk Barn. Cook the pasta. Drain. Rinse. While it’s cooking, in the biggest frying pan you’ve got water saute the greens, tomato and the faux poulet until greens are limp and the poulet is warmed through. Dump the pasta in. Stir everything around. Add the oil, nutritional yeast, seasonings. Stir it all around until well-combined. If you’d like it to be a bit creamier add some more oil or water. Keep on low heat until ready to serve.